The best in upholstered nursery furniture! 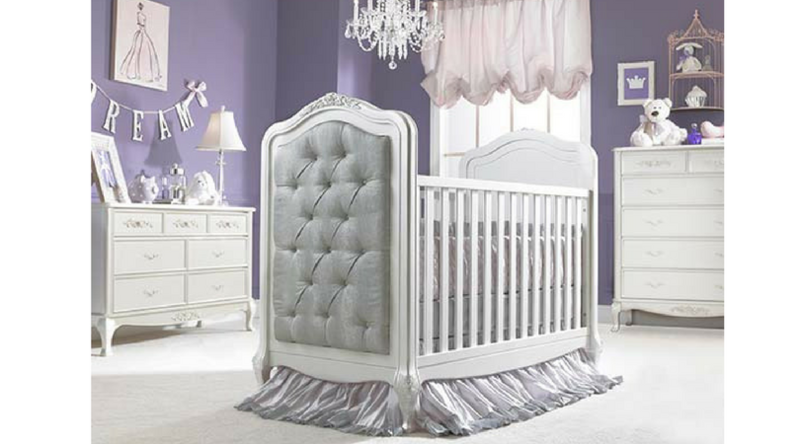 Treat your little princess to an elegantly upholstered Traditional Crib from Dolce Babi's Angelina Collection. Available in French Vanilla or Pearl with coordinating fabric, this sweet yet sophisticated crib offers classic French Provincial style updated for today’s young families. It features hand-sculpted floral appliqués, graceful cabriole legs, and generous curved moldings. Fabric can be spot cleaned. The functional design easily transitions to a toddler bed and day bed. Optional guardrail for toddler bed available and sold separately.